Romania has the power to inspire. There are many beautiful places in Romania, and many with a rich history. 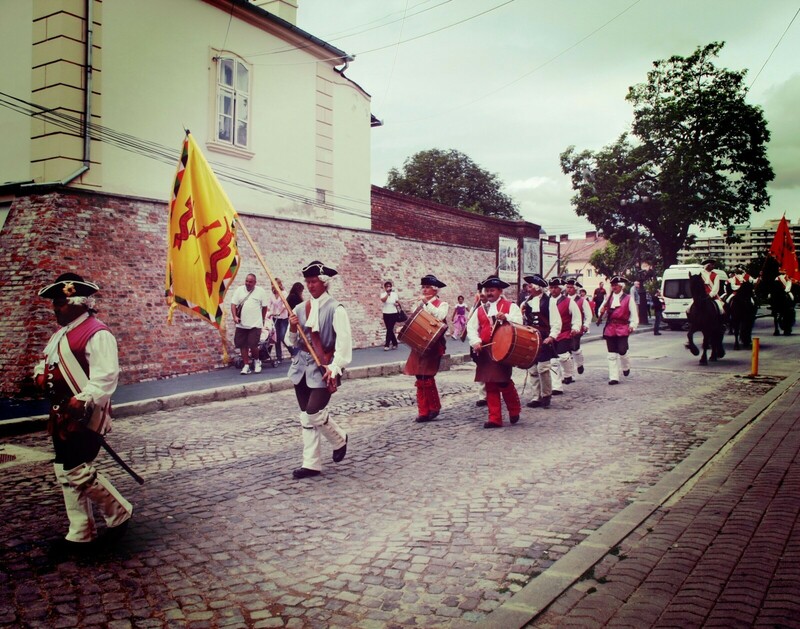 The 4000 years of history –tour is a journey through Romanian history. 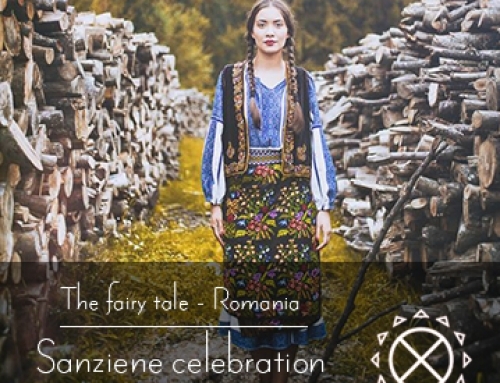 You will find nice stories starting with the Dacian times, continue with the medieval period, with the ages of kings, the communist period and finishing with the modern times. Each day will lead you to new places and new stories, 4000 years of history will pass before your eyes. Below you can find the Pure Romania 4000 years of history - Tour Description. 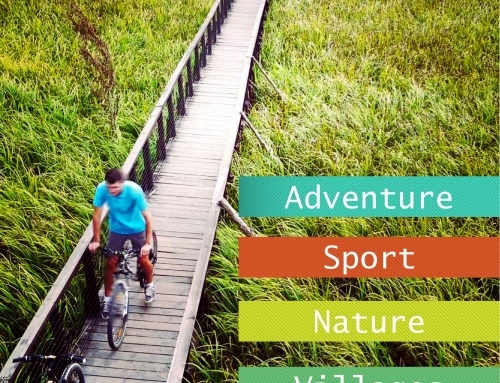 This is a 9 days, premium, all inclusive tour organized by Pure Romania Travel Agency. Day 1 - Bucharest, The Little Paris; discovering the city charm! 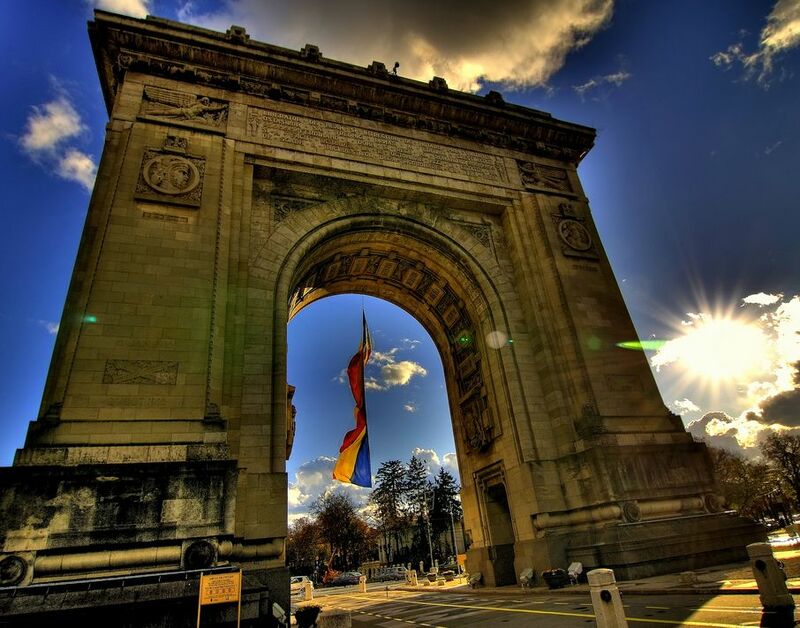 We suggest you to arrive in the morning; it would be wonderful to have a full relaxing day in Bucharest. Every tourist will be picked up from the airport by a private car and will be integrated in the program (tour of the city). This is the first day of the 4000 years of history – Tour. We will do our best to make it wonderful, as a standard for the next period. The day will start having breakfast at Piranha Restaurant. This restaurant has the biggest green terrace in Bucharest. It is a real oasis of greenery with trees, flowers, birds, fish (even Piranhas), and other animals. There we can serve traditional Romanian food, while in the autumn the chefs are cooking in very big traditional pots, like the ones you can see in old Romanian villages. Visit to the National Museum of Art of Romania. 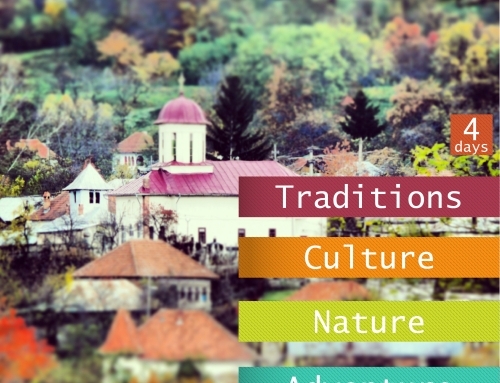 This is the best place where a tourist can see some of the core values of Romanian Culture. It is the best way to get in touch with the values, stories, prominent historical figures, traditions and to understand them as pieces of a great picture. The museum building itself has a beautiful history, due to the fact that it used to be a royal palace, and also has an impressive architecture designed by last century’s most well-known architects in Europe. Check-in at Hotel Cismigiu. Trip on foot. It’s 5 minutes’ walk from the museum to the hotel. Both are located near the city center. We shall pass near the Memorial of Rebirth, inaugurated in 2005 to commemorate the heroes of the Revolution of 1989, when Romania left the Communist Political Regime. Our way to the hotel also passes near the Kretzulescu Church, a Brancovan Style building with beautiful paintings and a happy ending history (by being saved from demolition during the communist regime). It was built in the 18th century and has a beautiful red color given by the bricks. Hotel Cismigiu is one of the oldest and most famous Romanian hotels in Bucharest. It has a wonderful story which begins in 1912. At the beginning it was one of the biggest and most luxurious hotels in Bucharest, a famous place of gathering for important Romanian artists and writers. During World War I, the hotel was occupied by the German army, with its roof being destroyed later, in World War II by the American and British bombardments. The hotel was rebuilt in 2012 and now offers a rich and unique experience in Bucharest (find more about the hotel on the official page ). Visit to the old town. 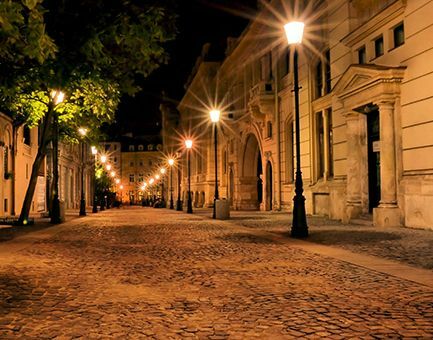 Short walk on the old streets of Bucharest, from the hotel to the Historical Center where we can find the well-known street called Lipscani. The route will pass near two symbolic buildings: the CEC Palace (finished in 1900, built by a French architect) and the National Bank Palace (famous building, also built by French architects in the late 19th century). Lunch at the restaurant “Crama Domneasca” (The Royal Wine Cellar). This restaurant has an old story and is still preserving chambers from 300 years ago. It is built on the same place where a part of the Royal Court (built by Vlad Tepes (Dracula)) used to be; the Royal Court has been modified many times after his reign. For many years, a part of the restaurant used to be the private cellar of the Royal Family, the place where their food and wine were kept. The rustic brick walls with tall arcades and the good food served in a traditional way makes the atmosphere of the old centuries to come to life (restaurant page). 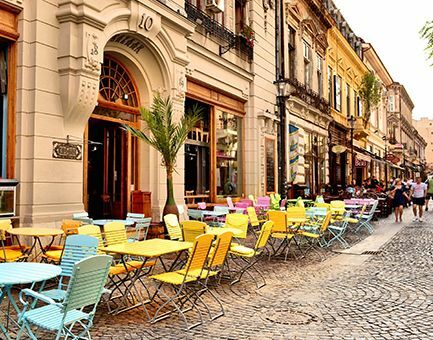 Bucharest, also called the Little Paris, has an ancient rich history. 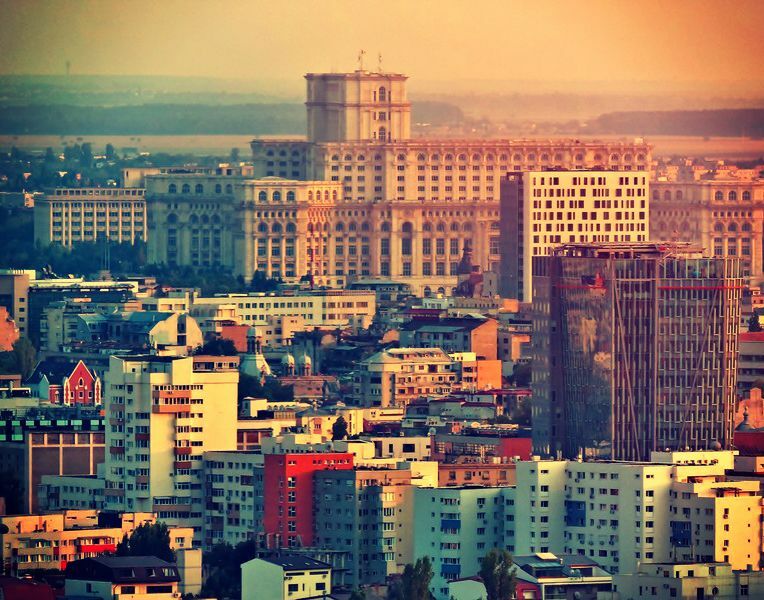 It has been the Capital of Romania since 1859. Its history begins a long time ago, in the 7th century, when it was first being mentioned in a number of ancient chronicles. It gains its notoriety in the 15th century, when Vlad Tepes (Dracula) transforms the city into his favorite summer residence. Afterwards, it becomes the favorite gathering place for the Royal Families from Wallachia. City tour by car and sightseeing the most important historical buildings: the Athenaeum (city landmark and inspiring building, completed in 1888, it represents the main concert hall of the city, the home for the George Enescu Philharmonic Orchestra and the symbol of the George Enescu International Festival – (read article), The Palace of the Parliament (the second largest building in the world, the most expensive administrative building in the world, built from 1984 to 1997 and having an estimated cost of 4 billion dollars), the Arch of Triumph (Arcul de Triumf) is a triumphal arch built in 1922 after the French example (Arc de Triomphe de l’Étoile from Paris), and restored in 1936; it commemorates the Romanian victories during World War I. Coffee break in Herastrau. 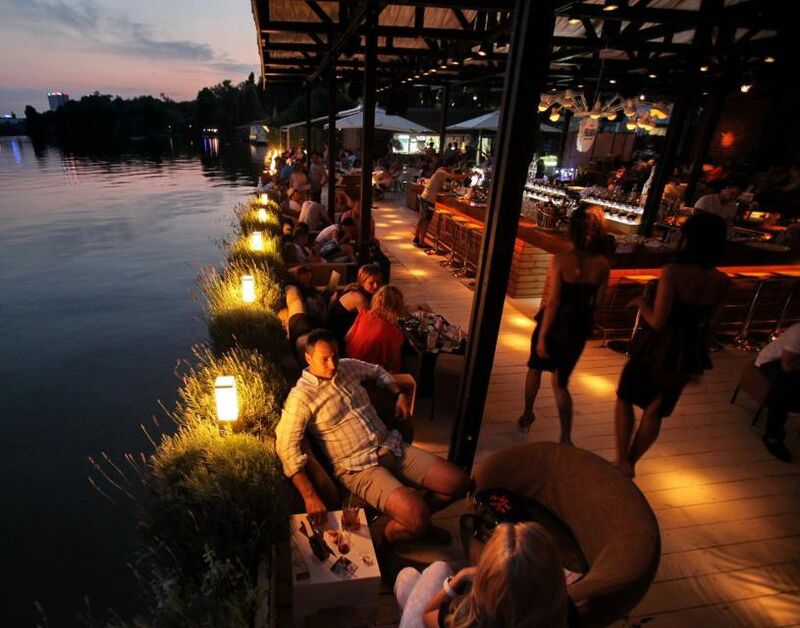 The biggest park in Bucharest is called Herastrau; it is characterized by a green lush that surrounds a large lake and a beautiful boardwalk with many terraces. Dinner at “Caru cu Bere” (The Beer Wagon – which is an old beer house built in 1899 that keeps alive the atmosphere of old times). Caru cu Bere is a special place in Bucharest that very well complements the traditional Romanian music and food, while adding a nice and unique ambiance. There you can listen to live music played by orchestras and eat traditional food made in big quantities that has a very good taste. 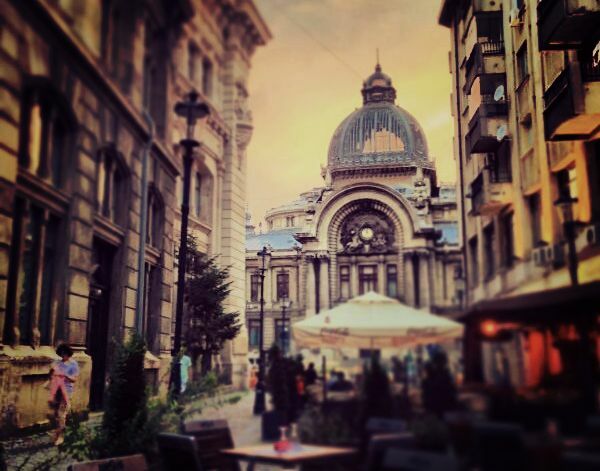 Bucharest, discovering the city atmosphere. Cultural visits: The National Museum of Art, city tour by car (The House of Parliament, The Athenaeum, The Arch of Triumph), discovering the best places to eat (restaurant built on the ruins of The Royal Court (built by Vlad Ţepeş (Dracula)), city break in the most beautiful garden – Herastrau – and in the Historical Centre (a place full of people where the local color is well visible). 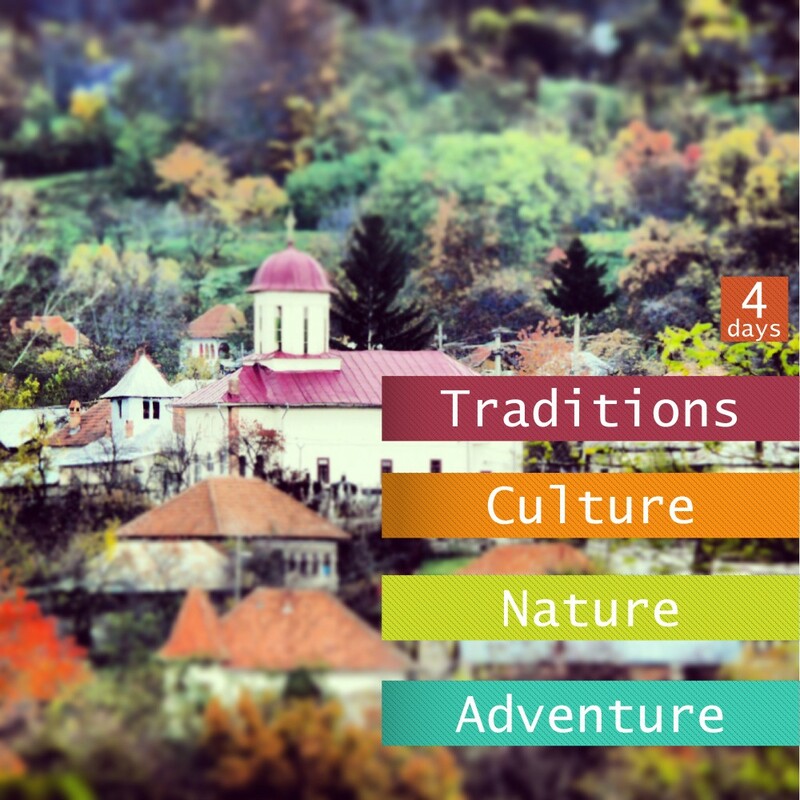 Day 2 - Discover the Brancovan Style and the traditions from the Center and Western parts of South Carpathians. Breakfast in Hotel Cismigiu. Afterwards we leave Bucharest to go north. We will pass through the city of Pitesti and go over the hills of the Getic Plateau to reach the city of Ramnicu Valcea 50 km later. 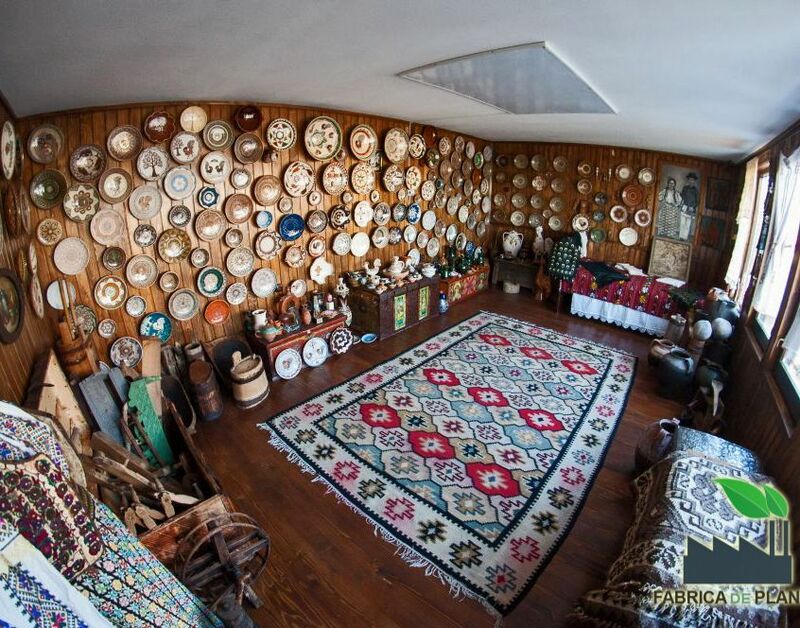 Almost 1 hour from Ramnicu Valcea we reach the city of Horezu, where we take a lunch break at the local traditional House of Guests. 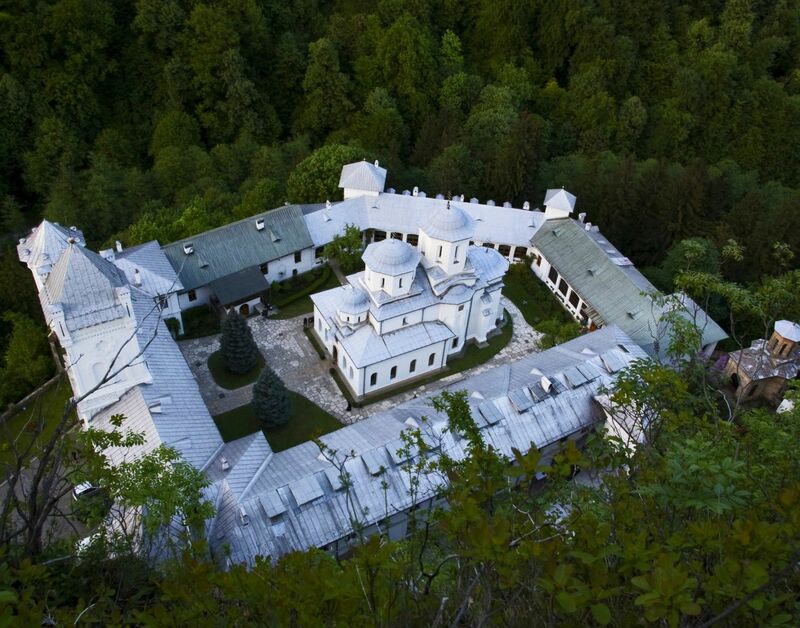 Our journey continues to the Horezu Monastery, part of the UNESCO World Heritage List. The place dates from 1690, when it was founded by Constantin Brancoveanu, the ruler of Wallachia during the 17th century. He was well known for his openness and admiration for spirituality and culture. He and his family are revered by the Orthodox Church because they have been tortured and killed in Istanbul by the Ottomans due to their religious beliefs. In fact, the story is surprising and frightening because all of his children were killed in front of him and his wife. 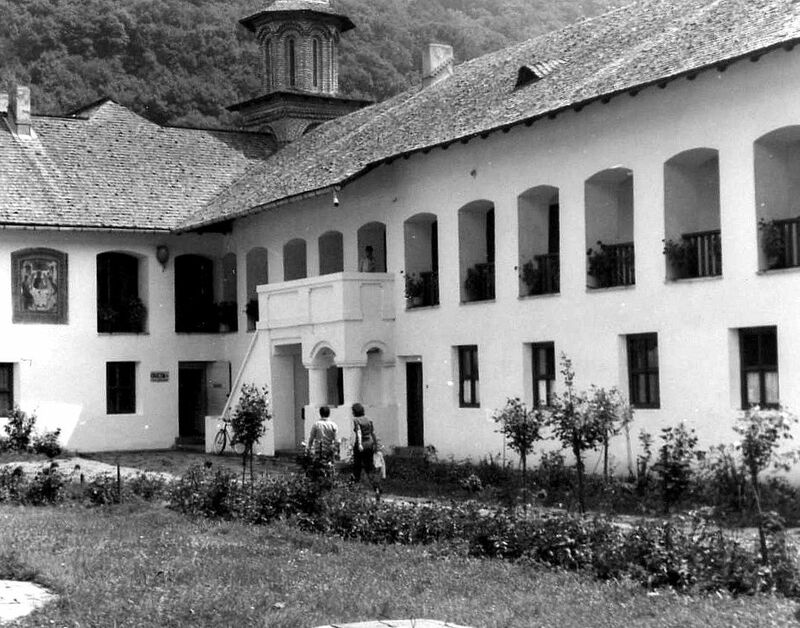 The Monastery of Horezu is built using the Brancovan Style. This is an important style used all over the Balkan Europe. It is characterized by simplicity and beautiful sculpturing. It creates the illusion of softness and fragility when analyzing the massive construction. Its value also lies in the beautiful mural paintings and the domes built by using semi arch designs. 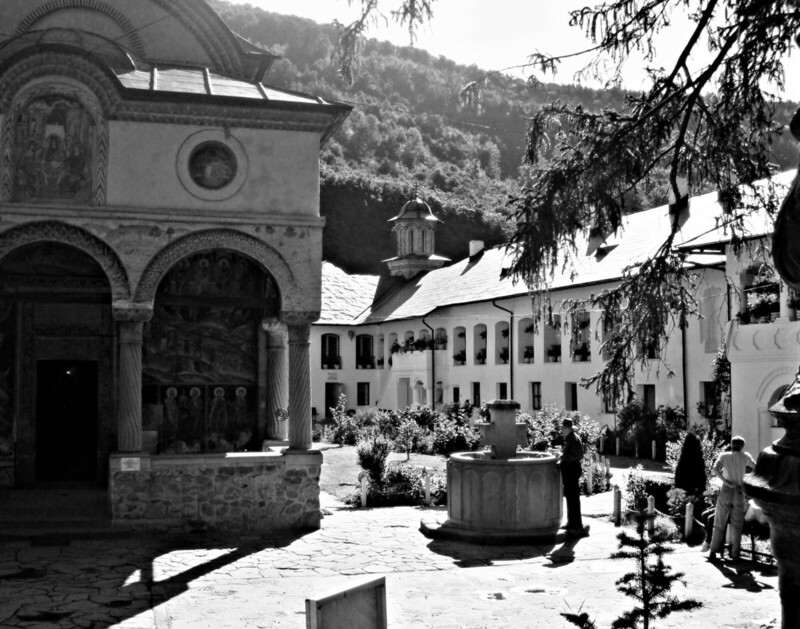 A very interesting experience is hearing the monastery guides speaking about the Brancoveanu history; they do that using lots of passion and veneration. They manage to recreate the atmosphere of those times; they speak as if their words are inspired by Brancoveanu himself. 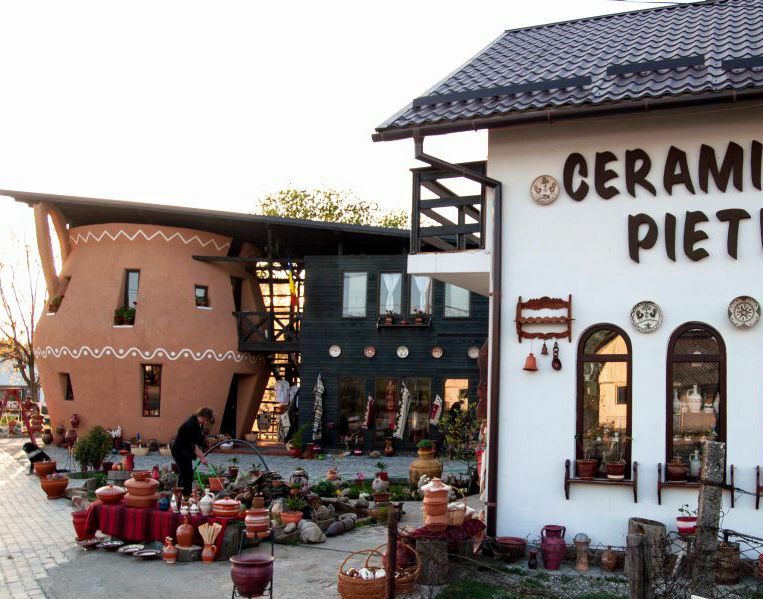 In the same city we will discover the Horezu pottery. 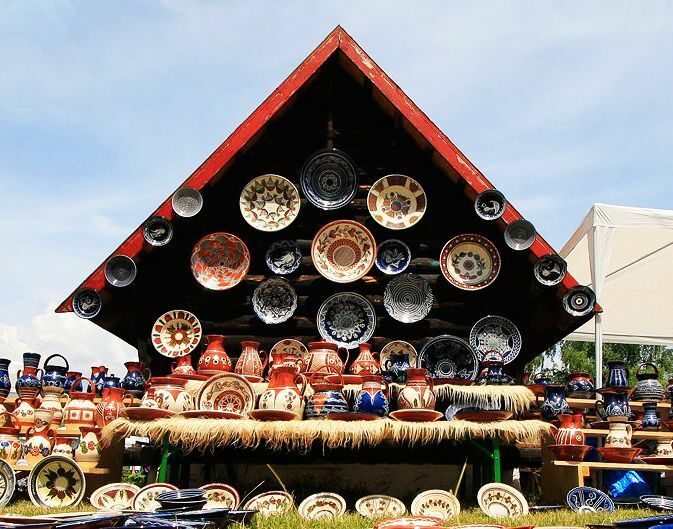 Horezu is also well known for its pottery, which, since 2012, has been a part of UNESCO Intangible Cultural Heritage List. 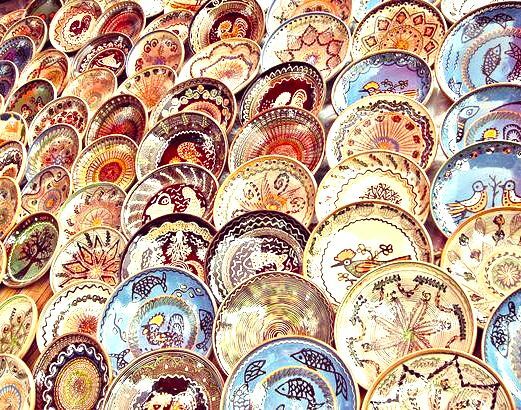 The Horezu Ceramics are handmade from clay prepared by men (cleaned, wetted and shaped) and have beautiful designs painted by women. 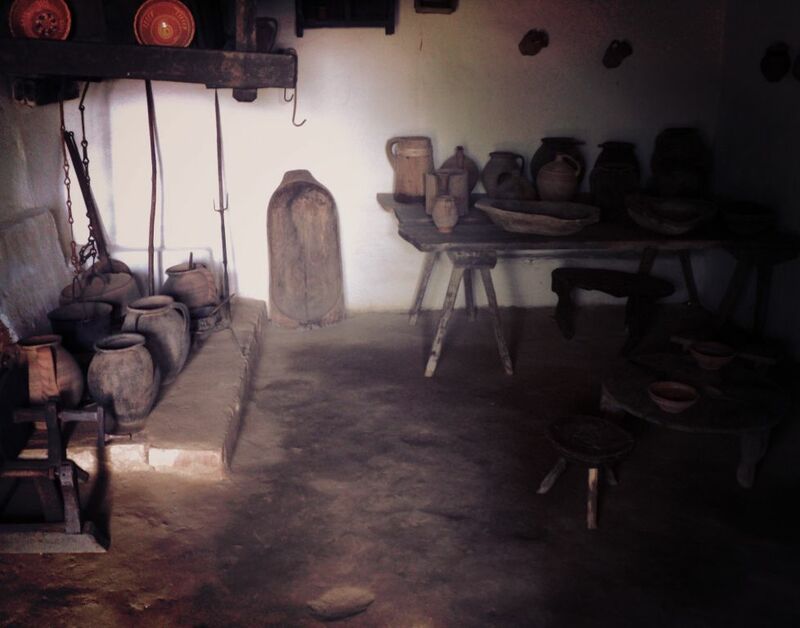 This pottery is very inspiring and rich in paintings and historical symbols. It is able to bring happiness and great moods to one’s life. Our journey continues west to another village where we will visit a cave. 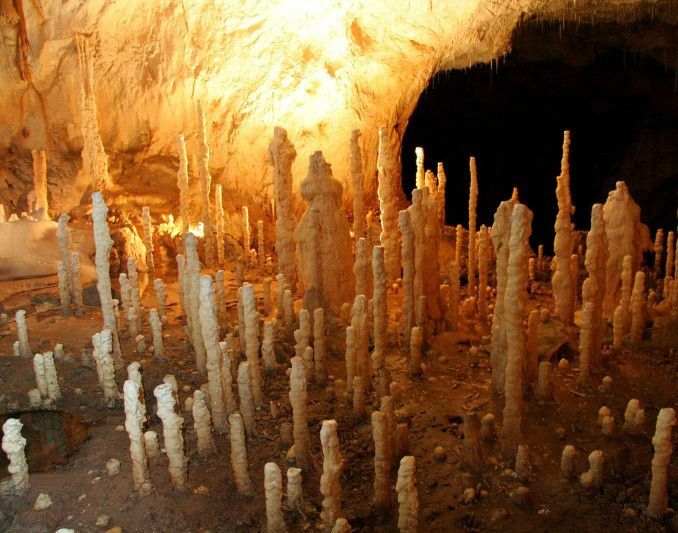 The Women’s Cave (Pestera Muierilor) is a 7000m long cave, being spread onto 4 different levels. It has this name – Women’s cave – due to the fact that it was being used as a shelter for women and children during war periods from ancient eras. Human bones were later discovered in the cave, which scientists (using Carbon16) figured out to be 29 000 years ago. The cave has beautiful formations: domes which resemble the gothic style ones, gates and interior waterfalls. The first day outside Bucharest will end in a small village, in a region full of traditions and history, near the Brancusi Village. This house is called The Hunter’s House of Guests and it offers a unique experience through its ambient. 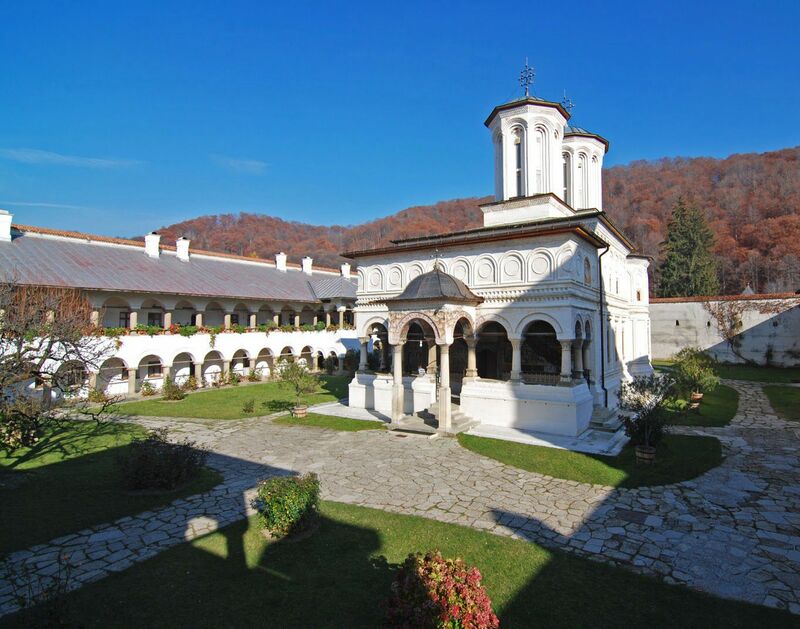 A journey to the western part of Romania, discovering the Brancovan Style, the Horezu Monastery, the Horezu pottery (both part of UNESCO’s World Heritage List), The Women’s Cave and the traditional region where Constantin Brancusi, the great Romanian sculptor, was born. This day will start with a traditional breakfast at The Hunter’s House of Guests. 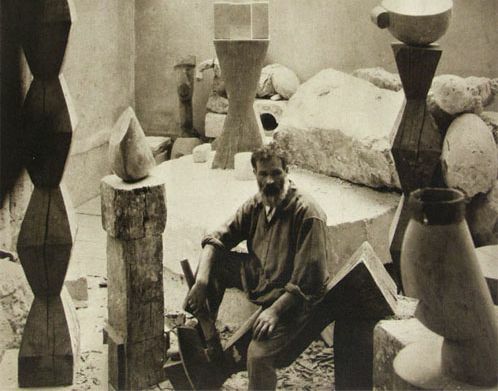 Constantin Brancusi, called “The Patriarch of the modern sculpture”, is one of the greatest artists of the 20th century. His work is known all over the world and can nowadays be seen in the most important museums in the world, such as The Museum of Modern Art from New York, the Philadelphia Museum of Art, the National Gallery of Art (Washington D.C.), The Pompidou Centre (Paris), the Guggenheim Museum (New York), The Metropolitan Museum of Art (New York), National Gallery of Australia, Fukuoka Art Museum (Japan), Tate Gallery (UK), National Museum of Art of Romania. 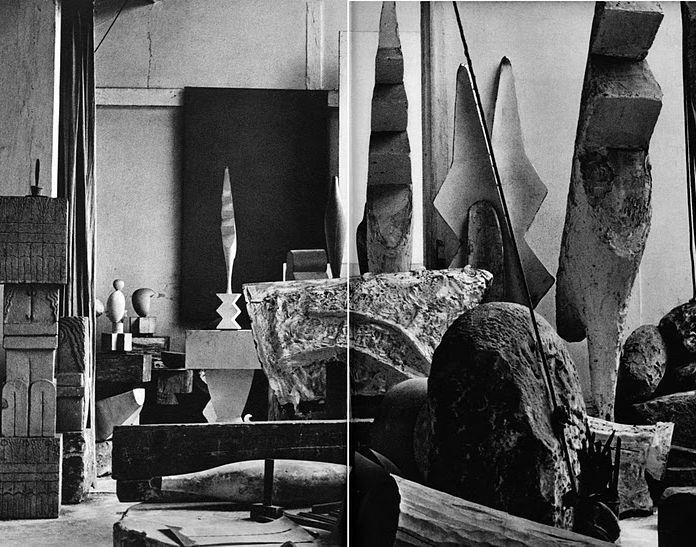 When you say Brancusi you say simplicity and passion. He was born in a family of peasants near the city of Targu Jiu, in the Romanian village called Hobita. He had soon adopted a very simple style of living, which can be seen by visiting his workshop in Paris, where he had lived a long period of his life. His passion and confidence in his dream of becoming a great artist were so big that they become symbolic. At some point in his life, Brancusi declined the invitation of Auguste Rodin to work in his studio by saying the famous phrase “nothing grows well in the shadow of a big tree”. He also made a trip of more than 1200 miles from Romania to France (Paris) on foot (because he came from a poor family, this was the only way of reaching Paris), in order to follow his dream, to learn at École des Beaux-Arts in Paris. Not only he had succeeded this, but he also opened the gates of sculpture for new and inspiring beginnings. Hobita, the village where the great sculptor spent his childhod Hobita is the village where, in February 1876, the great artist Constantin Brancusi was born. 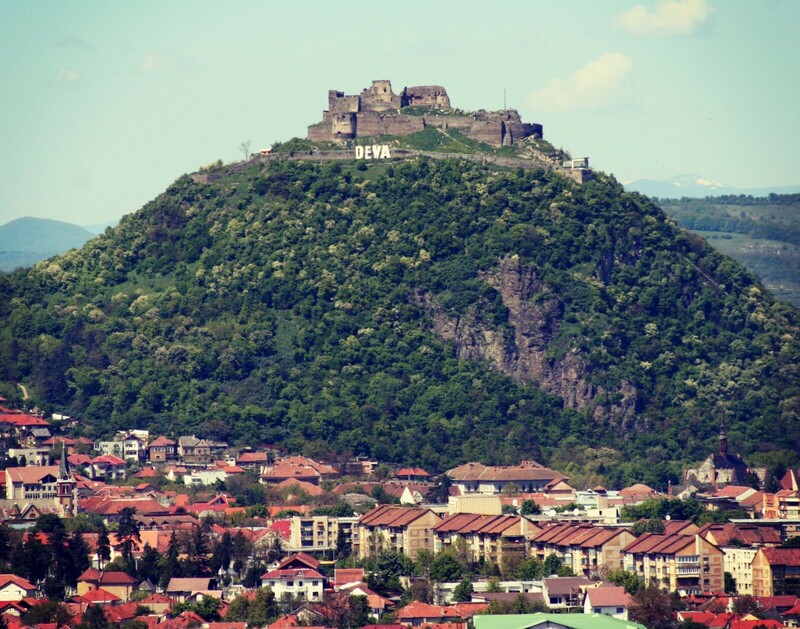 It is situated in the Southern part of The Carpathian Mountains, near Targu Jiu. It represents a rich place regarding folk traditions and it has a long history in wood crafting techniques. Nowadays, in Hobita one could visit the Constantin Brancusi Memorial House. It is the best place to understand the inspiration that the great artist has received during his childhood and also for understanding the peasants’ way of living at the end of the 19th century. 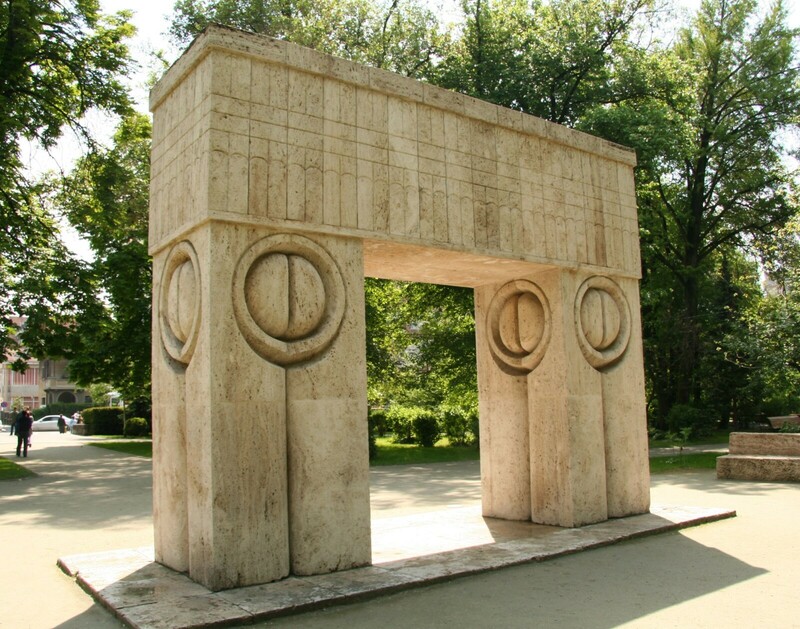 At noon we will be in Targu Jiu, where we can see some of the sculptures belonging to Brancusi and where we will have a traditional lunch. 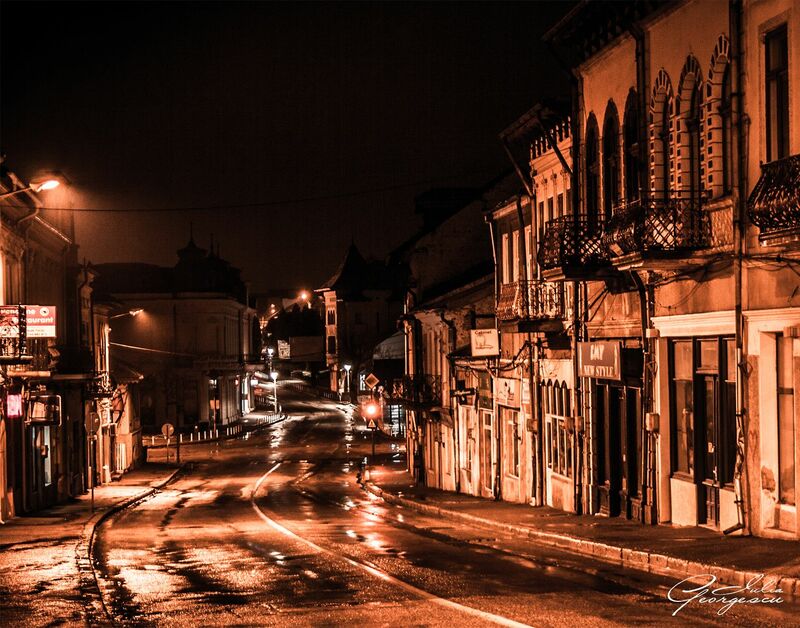 Targu Jiu is the biggest city close to the village the great artist Constantin Brancusi was born. The city is special because it houses the Sculptural Ensemble of Constantin Brancusi, which is made out of 3 of the most impressive sculptures of the artist: the Table of Silence, the Gate of the Kiss and the Column of the Infinite (The endless column). Built in 1938, all of them are outdoor sculptures with a rich symbolism. 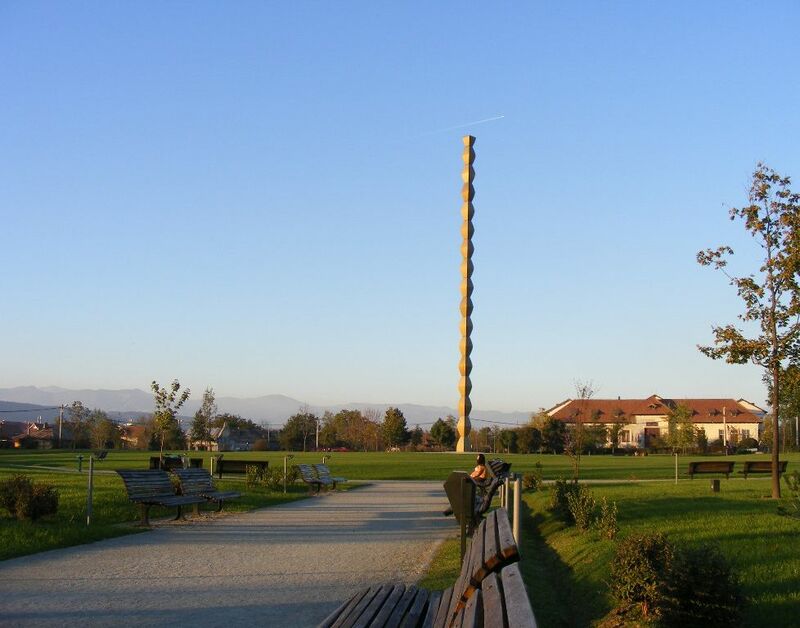 The Column of the Infinite represents a memorial sculpture for the Romanian soldiers who died in the World War I. 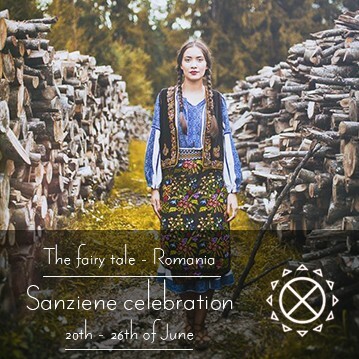 It symbolizes the infinite gratitude of the Romanian people for them and also the infinite cycle of life, inspired by the Orthodox Religion. In the afternoon we will go north, toward the mountains. Before leaving this region we will stop at a beautiful house. 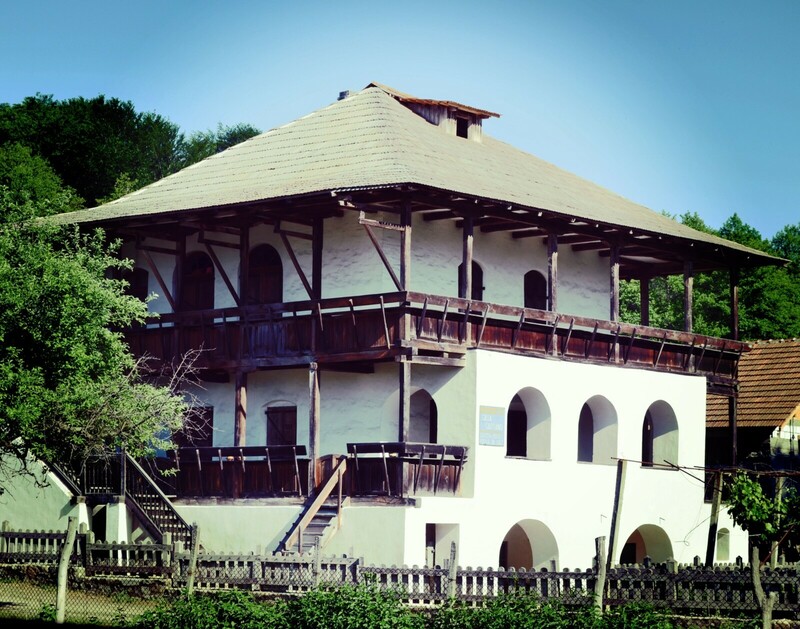 Cula Cartiu (Casa Cartianu – Cartianu House) is a beautiful house built in 1760 which expresses the beautiful Romanian architectural style and an intelligent harmonization between wood and masonry. Nowadays it houses a small museum. In our journey through the mountains we will pass near a Dacian fortress. Fortress Banita was built 2000 years ago, when the Dacians were living on this territory. The fortress was conquered by the Roman Empire in the year 106. It is included in the UNESCO World Heritage. Even almost 2000 years later, at Banita one could still see the walls of the old fortress. In the evening we will arrive on the other side of the mountains in the Hateg Region. A beautiful, large and modern Guest House built in nature will provide us with accommodation. Visit to the old and famous Tismana Monastery, which is a spring of silence and harmony, followed by a visit to the most important places where the great artist Constantin Brancusi had spent his youth years; afterwards we will visit his most famous sculptures: The Table of Silence, The Gate of the Kiss and The Column of the Infinite and discover the traditional houses from Northern Oltenia; we also get in touch with the ancient Dacian culture through its fortress. Good morning nature – breakfast in the Guest House garden. Visit one of the most important places from Dacia after it was conquered by the Roman Empire. Ulpia Traiana Sarmizegetusa (the full name – Colonia Ulpia Traiana Augusta Dacica Sarmizegetusa) was the capital of the Roman Dacia (Dacia after the Roman Empire conquest). It was built in the years following the war between the Dacians and the Romans (105-106). Due to its strategic position it quickly became an important economical centre. It was also the religious, political and administrative centre of the new Dacia. At the time, inside its walls lived around 20 000 – 25 000 inhabitants. Even nowadays, the strong fortifications are visible; also the stories from that period are still alive and known by the people who are living in the region nowadays. Our journey continues to a hidden place between the mountains, where a palace and a monastery are located. The Colt Palace and the Colt Monastery were built in 1280 and 1315 respectively, and both represent the beginnings of the family named Candesti in the Hateg County. This family was a very rich one, due to the fact that, during the 14th and 15th centuries, it owned more than 30 villages. The monastery survived well the passing of the time and it is still in use today; however, the fortified palace is now just a ruin. The legend says that Jules Verne (the famous French writer) was inspired by these places when he wrote the novel The Carpathian Castle. The lunch will be taken in a traditional restaurant in Hunedoara town, near the castle. Romania has a relatively large number of castles, out of which The Corvins’ Castle is one of the most beautiful and impressive. It can even be referred to as one of the most beautiful medieval castles from Europe. It is also called the Hunyad Castle or the Hunedoara Castle (In Romanian – Castelul Corvinilor, Castelul Huniazilor, Castelul din Hunedoara), and it was built in 1446 from the order of the great impaler, known in all over Europe for his great wars with the Ottoman Empire, John Hunyadi (Iancu de Hunedoara). The Castle is one of the biggest built in 15th century Europe. It was built using the Gothic style, but it also has elements from the Renaissance period. 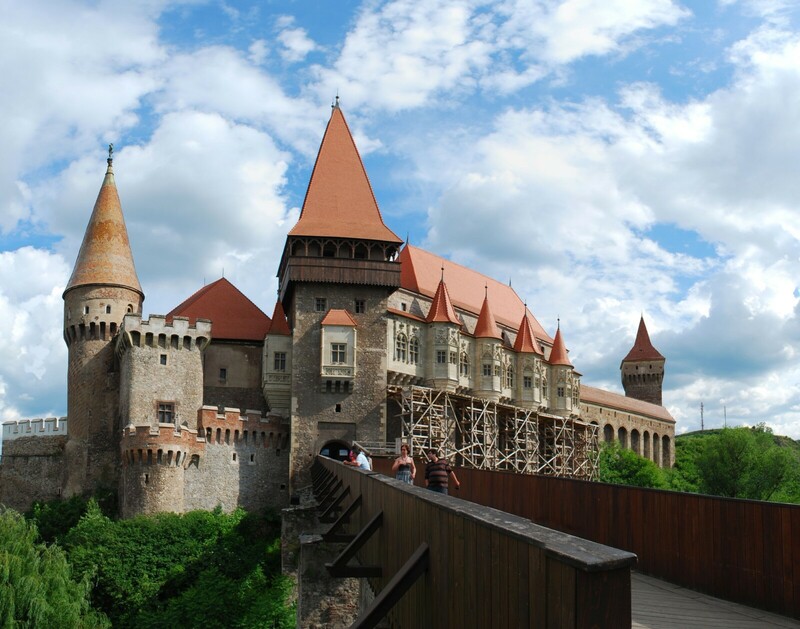 The building has unusual elements for the architectural style of Transylvania from that time, due to the fact that it has fortified walls with towers, large interior yards and a bridge over the small river that passes near the castle. The castle also has beautiful legends. 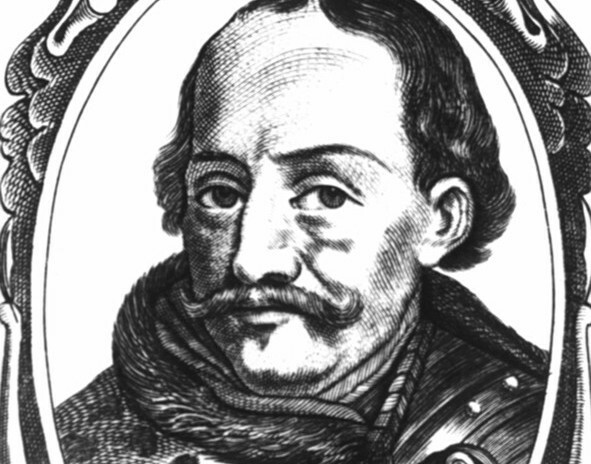 It is said that the Transylvania Impaler John Hunyadi kept Vlad Tepes (Dracula) as a prisoner for a while, until they came to an agreement and made an alliance. Another legend refers to a 30 meter deep well, dug in the interior yard of the castle. It is said that it was dug by the ottoman prisoners; they were told that if they dig until they reach water they will be freed. They dug for 15 years until they reached water but they weren’t set free, so they wrote on the well walls “you have water, but not soul”. In the evening we will go to a quiet place, in a village near Deva, to find accommodation in a Castle House. Day 4 is filled with history, because we will visit places with hundreds of years of age, such as the Dacian fortress conquered by the romans named Ulpia Traiana Sarmizegetusa; also, visits are scheduled at the following medieval palaces: The Colt Palace, Palace of Joules Verne, the famous Corvins’ Castle and a church of rocks dating from the medieval period. We will end the day by finding accommodation in a castle guest house. This morning is special, because we will be having breakfast in a castle garden; it will be like living in the medieval period and feel like the time treats us with all the patience in the world. First we will visit the Fortress of Deva. It is a beautiful medieval construction built on the highest hill of the town with the same name. It therefore has a strategic placement. It was built in the 13th century on the place of an old Dacian fortress. It had an important military role for more than 600 years. There were many attempts to conquer it, even by the peasants in 1784. However, in the 19th century its military importance decreased. Nowadays, the ancient fortress is a ruin due to a big explosion that took place in the ammunition store, in the year 1849. The place can still be visited, as it offers a lot of information about the way of life from the medieval period and also a beautiful landscape with the town of Deva. Our journey continues to a rare museum, The Gold Museum of Brad. It is one of the biggest museums of this kind and a unique place in Europe. It was built 100 years ago, and its collection grew over time, nowadays having more than 2000 pieces, out of which 800 came from foreign countries. 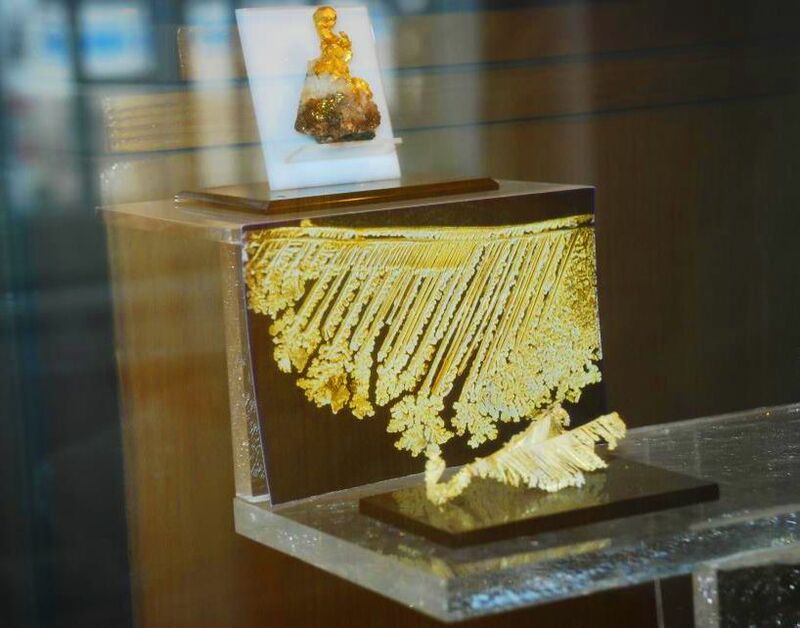 At the Gold Museum of Brad you can see gold belonging to the natives of the Romanian Mountains. It is presented in pure form, or as a mixture with other raw materials. 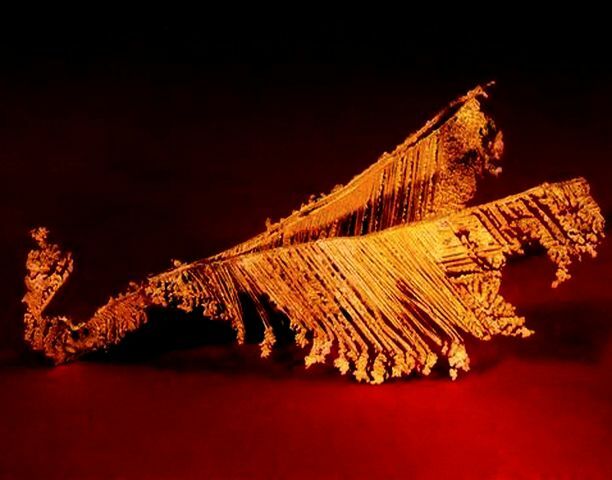 Some pieces have special forms; for example, one of the most impressive exhibits is a lizard made out of pure gold which was evaluated at more than 3 billion dollars. The museum also reveals the history of gold exploitation, which started 2000 years ago in the region. We continue our journey north, to the Apuseni Mountains. These mountains are special due to their karst landscapes and their high altitude villages (called cranguri). Climbing up to 1800 meters in altitude, we can still find very well preserved villages and old people that are keeping traditions alive. A few beautiful resorts that offer plenty of trials to allow you to explore the karst relief are located in these mountains. Some of the best known ones are Pades, Stana de Vale, Ariesieni. Breakfast at a traditional local Guest House in the Chiscau village; this is the area where we will visit the Bear Cave. 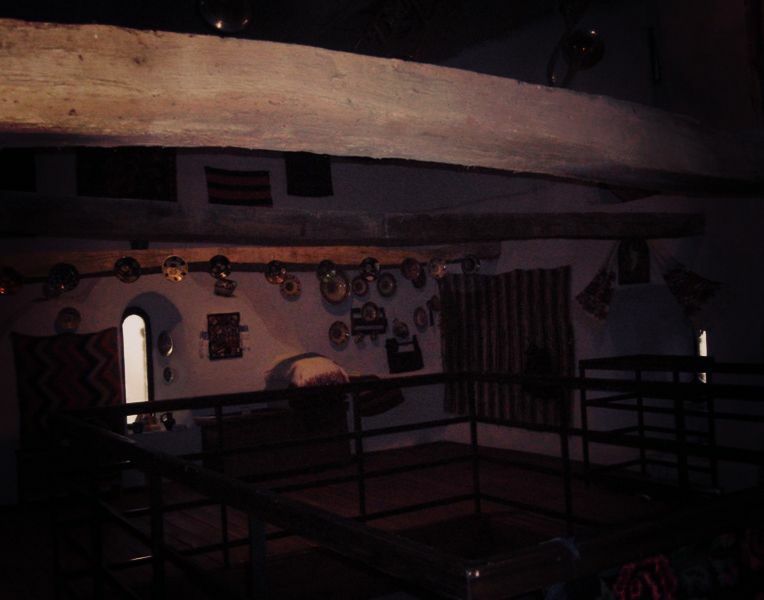 The Bear Cave is situated at the foothills of the western part of the Apuseni Mountains. It is one of the biggest and most beautiful from the world. It was discovered in 1975. 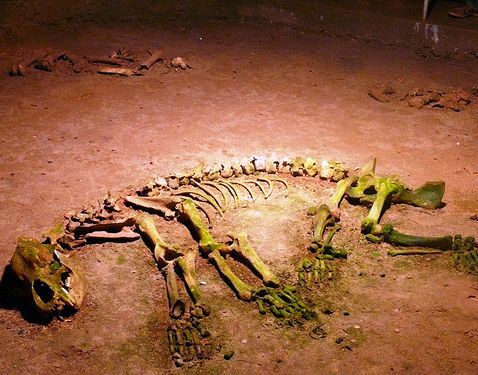 Fossils of giant bears who lived here 15 000 years ago were found inside. They measured 4 meters in height (if we consider the bear standing up) and more than 1000 kg. The cave has wonderful stalagmites and stalactites in huge chambers. It occupies an area of more than 1500 meters. However, only 488 meters are opened to the general public, while the other ones are used only for research. 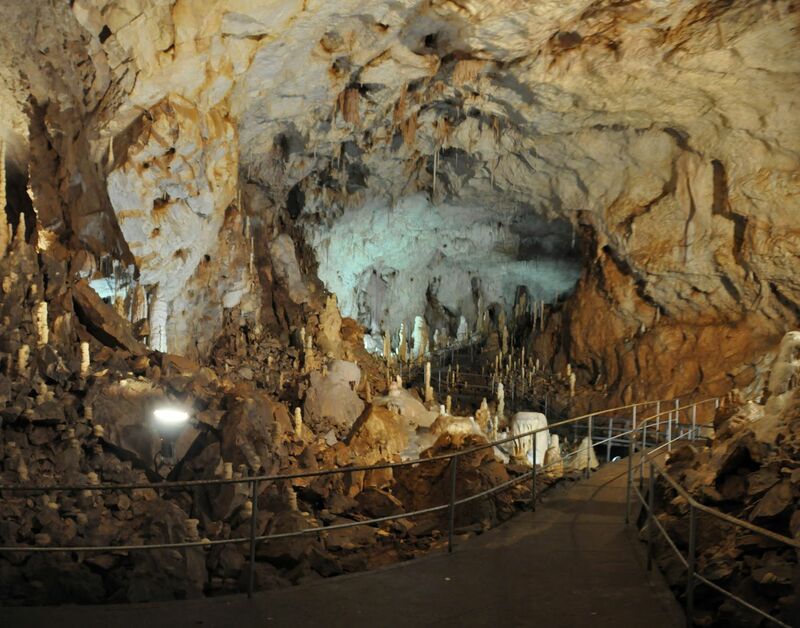 Every year the cave is visited by more than 200 000 tourists. 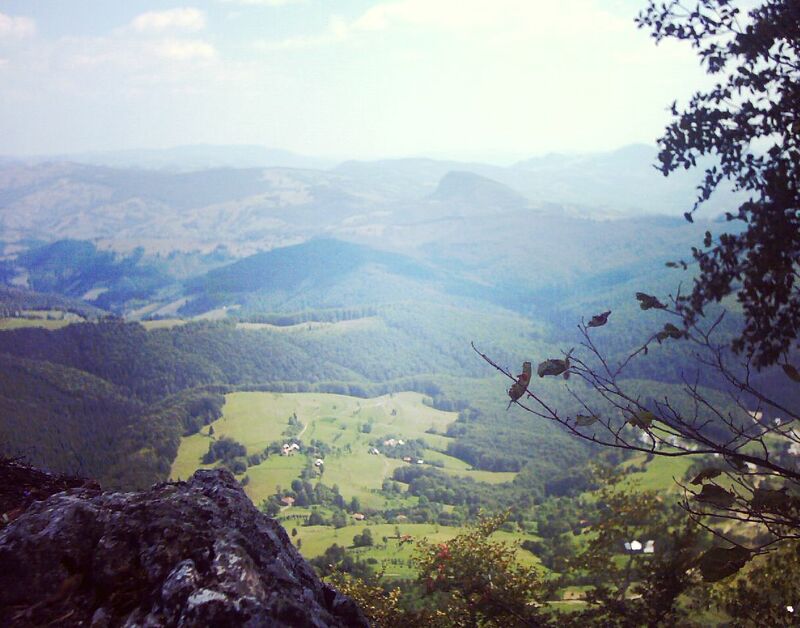 In the evening, we will go to Arieseni, in the heart of the Apuseni Mountains. Few kilometres away we will find accommodation at the Chalet Daria, a new Guest House built in the middle of the nature. Day 5 is a mixture between rare touristic objectives; we will visit an ancient fortress – Fortress of Deva, rebuilt in the medieval period, a wonderful and one of the biggest gold museums in the world – The Gold Museum of Brad and an amazing cave rich in formations – The Bear Cave. Day 6 Old cities, mountain roads, nature, medieval castles and pure Romania. We believe that this morning and this breakfast will be the most memorable due to the beauty of this place. 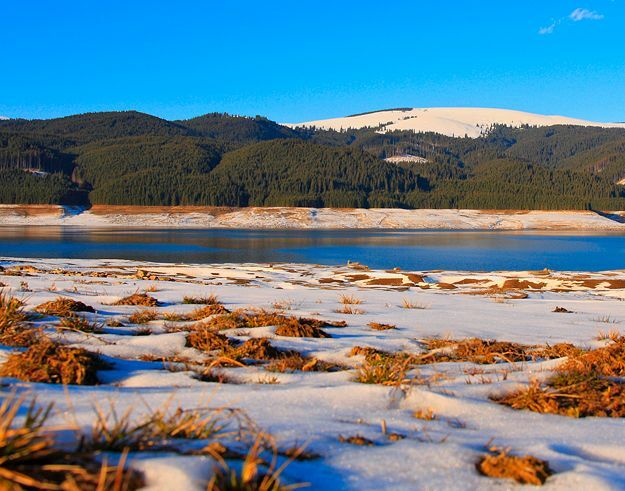 The fresh air, the beauty and simplicity of the forest, the sound of the river and the positive spirit of the Apuseni Mountains will make this possible. In the morning we will take a long trip following the roads that cross the mountains. We will arrive before noon at Alba Iulia. Lunch in Alba Iulia, in a medieval restaurant with decorations and an old traditional ambiance, built near the old fortress of Alba Iulia. Alba Iulia is one of the most important cities in Romania. 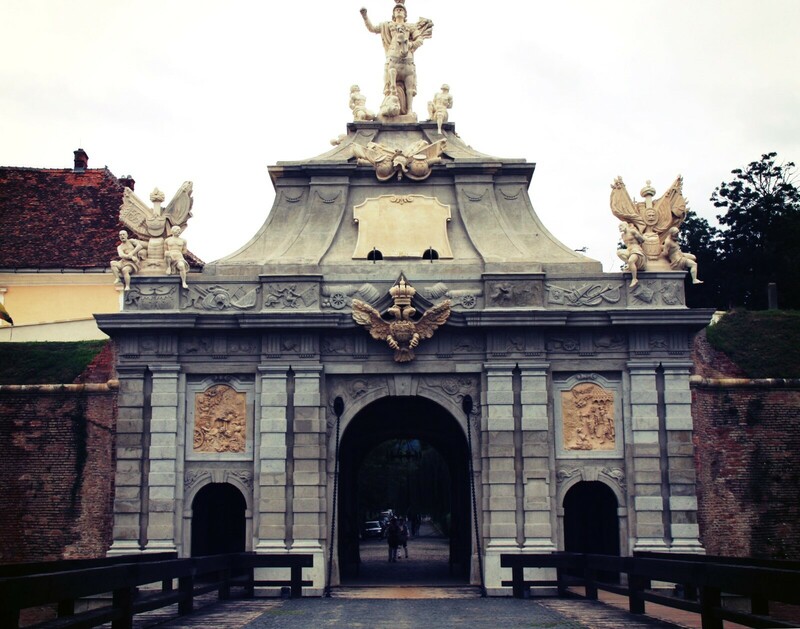 It is an ancient town which had a key role during all the historical periods of Transylvania and later Romania. Archaeological remainings that certify the existence of a Neolithic human settlement (5000 BC – 1900 BC) were found in the northern part of the city. 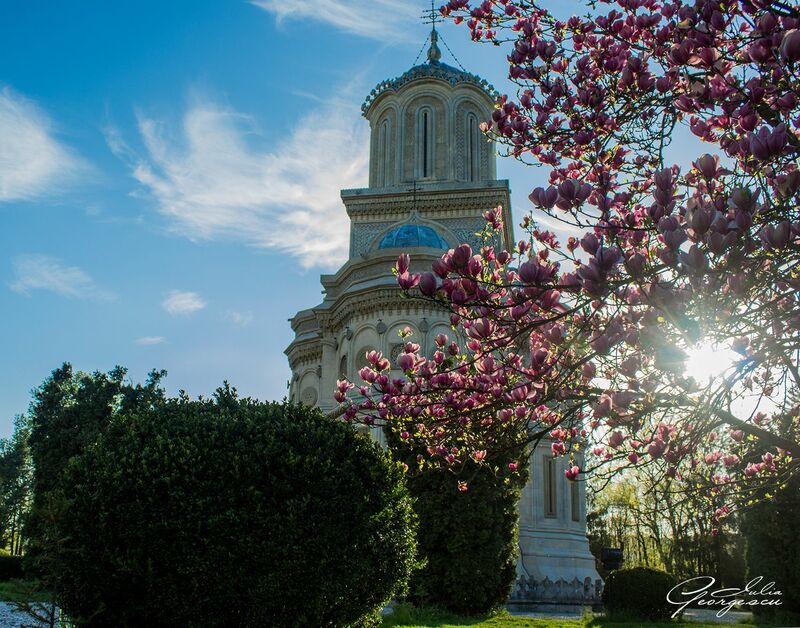 In the period of Dacia, Alba Iulia was an important political, social and cultural center called Apoulon. During the Roman Empire reign, it became the center of their occupation of the old Dacian territory. It was the biggest city of the new Roman territory, while it tried to imitate the architectural style of Rome. During this period, the city was referred to as Apulum. Parts of ancient Roman constructions are still visible nowadays. 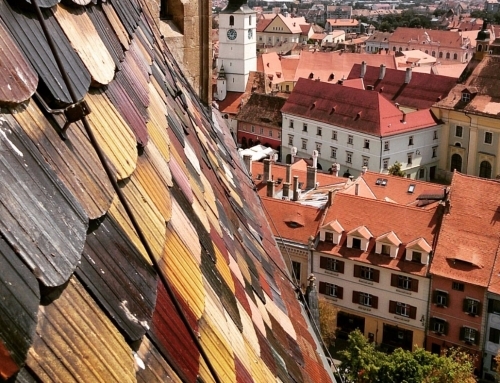 During the Middle Ages, the city continued to be a very important settlement from Transylvania. The Catholic Cathedral that can also be seen nowadays was built during the 12th and 13th centuries. For almost 150 years (1542-1690), Alba Iulia was the capital of Transylvania, and in 1599 it was the place where Mihai Viteazu (Michael the Brave) achieved the Union between Transylvania and Wallachia. One year later, in 1600, Moldavia was also integrated into this Union. 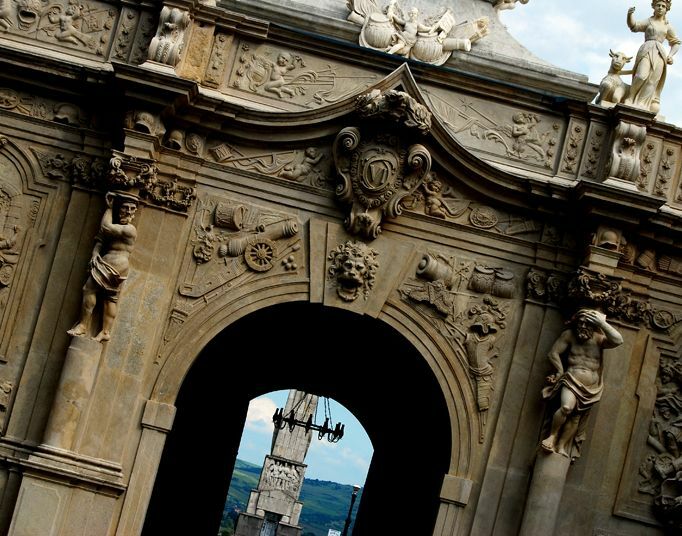 Alba Iulia is one of the most beautiful and culture-rich cities in Romania. Is the perfect site for visitors because they can discover a 7 000 years’ history by visiting a single city. Visitors can explore the Habsburg Citadel, the biggest in South-Eastern Europe, which was built between 1716 and 1735 using the Vauban Architectural style; it is a star shaped building, while having 7 towers and 7,2 miles in length; its uniqueness is brought by the beautiful 6 gates that include elements inspired from the ancient mythology. In Alba Iulia one can also visit the oldest Catholic Cathedral in Romania – The Roman Catholic Cathedral, built in the 13th century on the structure of a basilica dating from the 10th century. 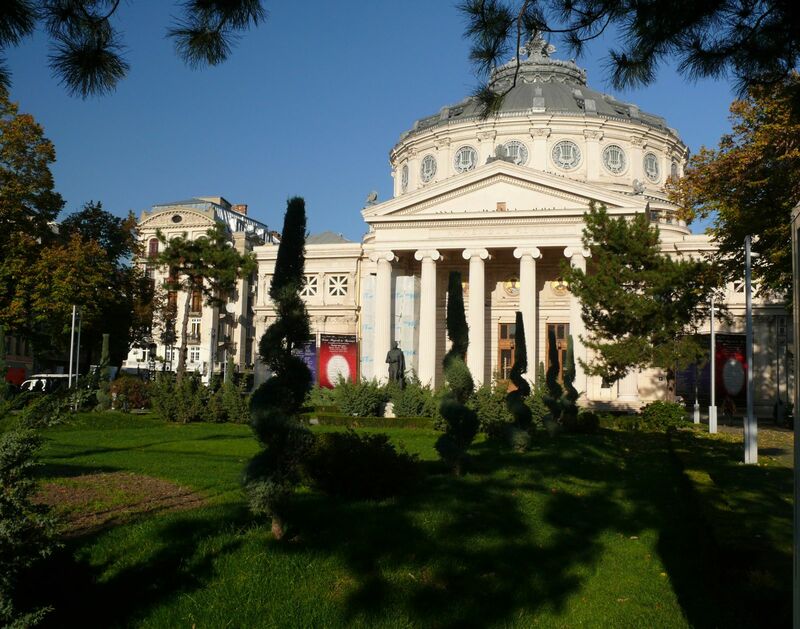 The city is also hosting The Union Hall, where tourists can visit the National Honor Gallery, The Princely Palace and a beautiful National History Museum of Unification. Also, Alba Iulia hosts the Orthodox Cathedral of the Reunification; each year, on the 1st of December, this cathedral is the place where celebrations are being held in the honor of the National Day of Romania – The Great Unification from 1918. Castle of Calnic is on the UNESCO World Heritage Sites List In the evening we will have a short visit to another medieval castle, this time a smaller one. 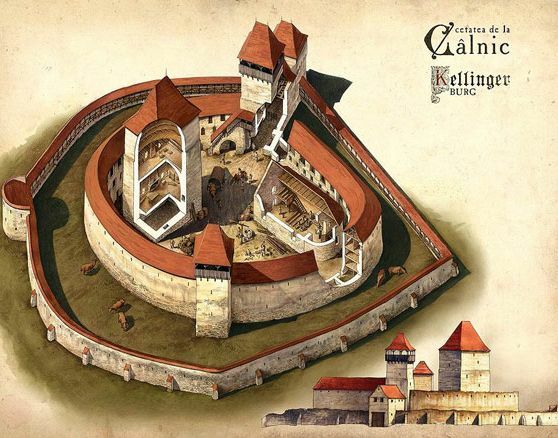 The Calnic Castle was firstly mentioned in 1269. In the beginning it was just a nobleman’s house, but in 1430 it was bought by the peasants and became a safe place of refuge for them. They built from it a fortress with a big tower (donjon) and a chapel. Transalpina – the road that reaches 2145 meters in altitude; Back to nature, we will continue our journey to the accommodation place, a big Chalet situated in a green and silent place. 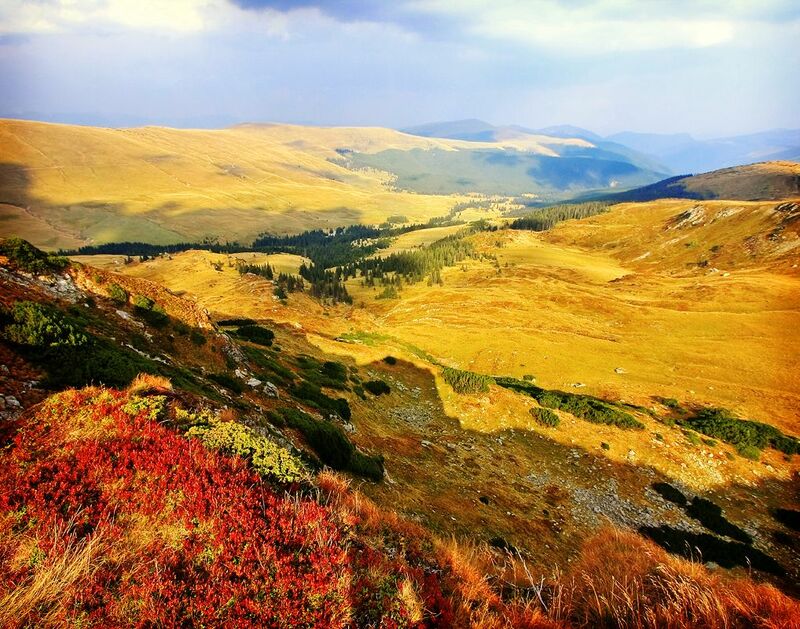 In order to reach this place we will use a road that crosses the mountains called Transalpina. It is difficult to write something about Transalpina; it is a beautiful road that crosses the Carpathian Mountains, while reaching altitudes of up to 2145m. You have to be there to feel, see and be inspired by the nature. It is amazing how closer you are to the sky and how much emotion the road, during its peak, can offer you. 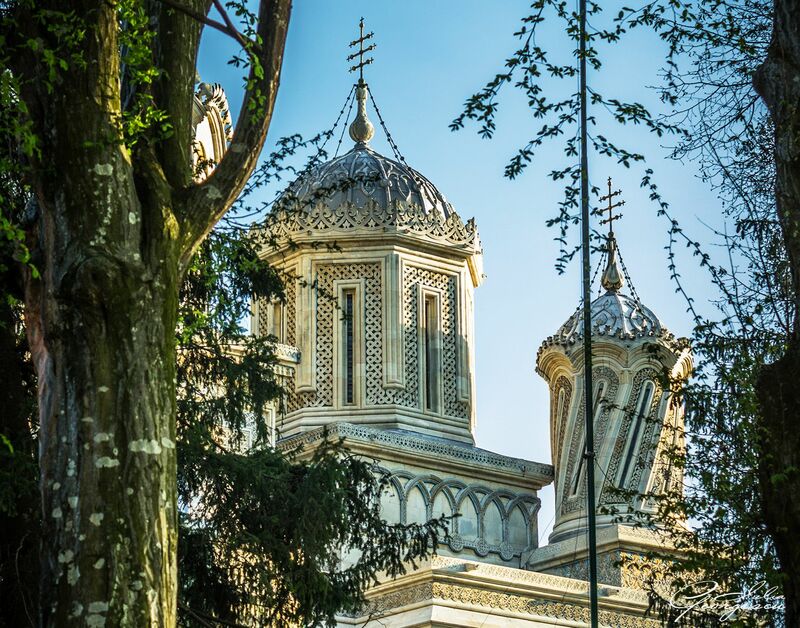 Day 6 is a trip that shows a beautiful part of Romania – its ages, its cultural and social influences, its influence along the centuries and one of the most beautiful and important cities from the Central and Western part of the country – Alba Iulia. Breakfast high in the mountains – good morning sun, good morning puffy clouds, hello birds. Back on the road – the highest altitude road in Romania, Transalpina. After a beautiful trip in the mountains, having witnessed amazing landscapes, we will arrive to a medieval church. Lunch at Cozia, traditional restaurant near the medieval court. Cozia represents one of the most important churches in Romania because it is a pure symbol of the Orthodox Religion and also because it being linked to great rulers of Wallachia, such as Mircea cel Batran (the founder of the church) and Constantin Brancoveanu (in the 18th century, he added to the church a porch, a fountain, a watch tower and a chapel). Both rulers are famous for dedicated fights and victories against the Ottoman Empire. 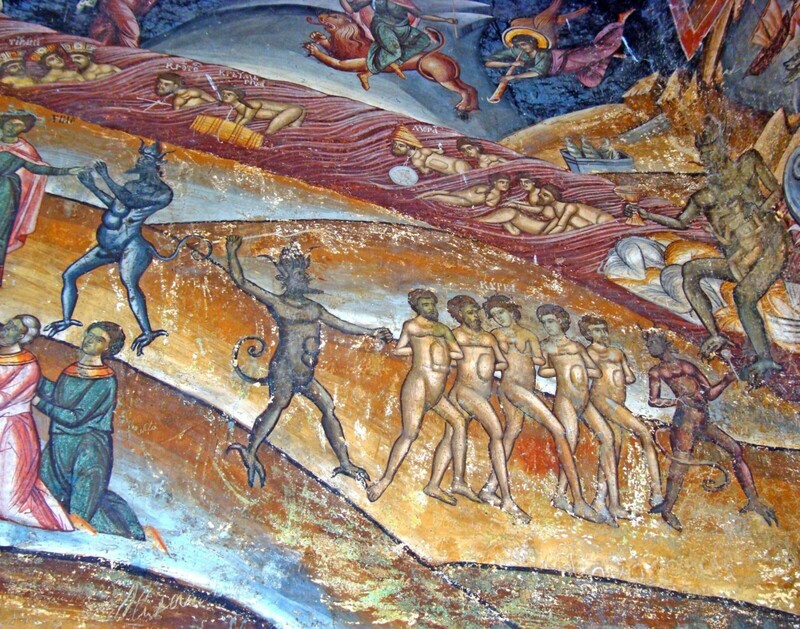 Paintings made in the fresco style are preserved since 1390. 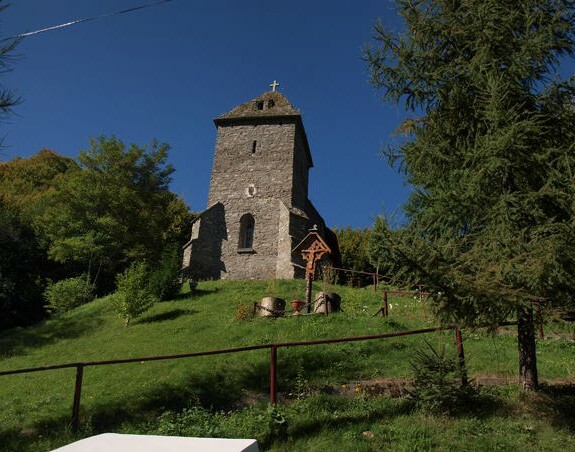 The church is situated near the river Olt, surrounded by a beautiful landscape. Curtea de Arges – the royal jewelry of Romania After another hour of driving, we reach Curtea de Arges, a beautiful town near the Fagaras Mountains. Romania is a country with many legends, beautiful places and special people. You can confirm this fact after your visit to Curtea de Arges, the small town from the Arges County. Accommodation will be provided by The Royal House, near the Royal Court, in a new and luxurious House Guest. 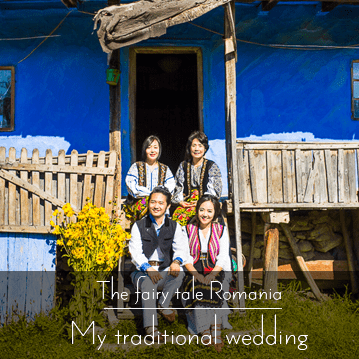 Visit to one of the most beautiful towns in Romania – Curtea de Arges, visit to the medieval Church of Cozia and a beautiful trip through the mountains. Breakfast at the Royal House. Curtea de Arges Town visit all morning. It is situated in Central Southern part of Romania, at the base of the Carpathian Chain. 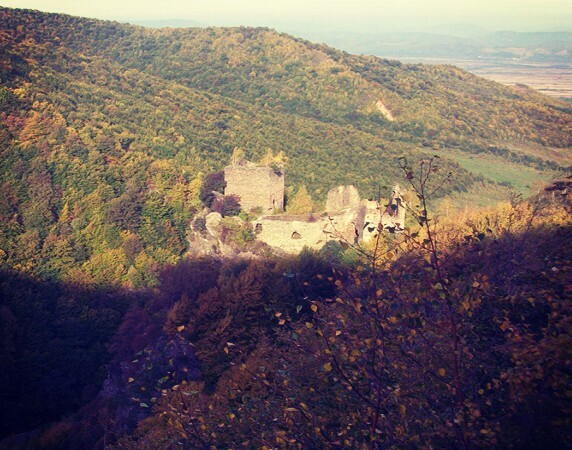 It has been the first capital of Wallachia and the place where the first royal court used to be. 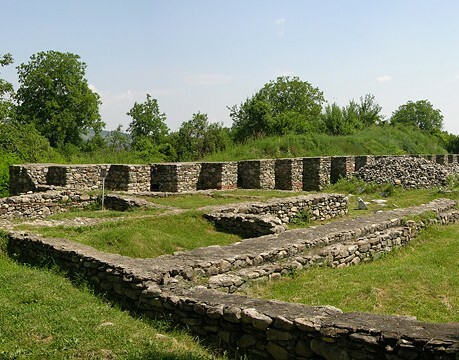 The historical evidences are saying that here, on the valley of the river Arges, the first capital of the Wallachia province was established, in the 12th century. 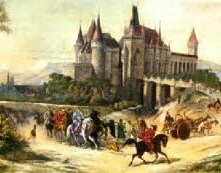 Later in history, after a lost battle with the Hungarian Empire (led by Carol Robert de Anjou), the capital is moved by Basarab I to the city of Campulung Muscel. His nephew, Vlaicu Voda, restores the capital to Curtea de Arges in 1370. 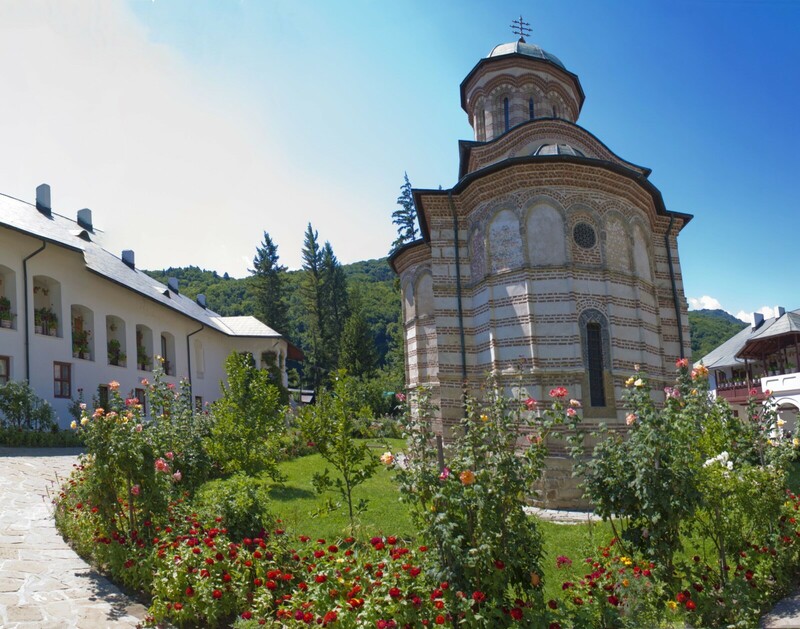 Curtea de Arges houses the oldest important orthodox church of Wallachia –The Princely Church. It was built in the 13th century and consolidated in 1340. It can still be visited today, due to the fact that it has been well preserved. 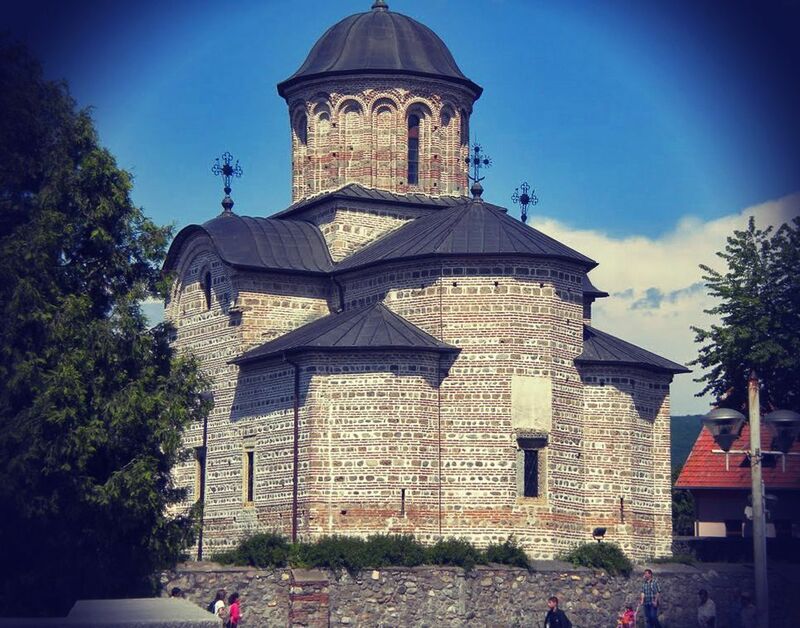 In Curtea de Arges one can see the ruins of a catholic church built in the 14th century (San Nicoara Church); this church had a tower in order to communicate by using a fire signal with the Fortress of Dracula (Fortress Poienari), located 20 km north, near the mountains. This church also communicates via a tunnel system with The Princely Church. Another old and beautiful church is the Church of Olari, where one can find oil painted walls and an ancient Moldavian Style. The greatest place to see in Curtea de Arges is the Cathedral of Curtea de Arges, one of the most beautiful cathedrals ever built. 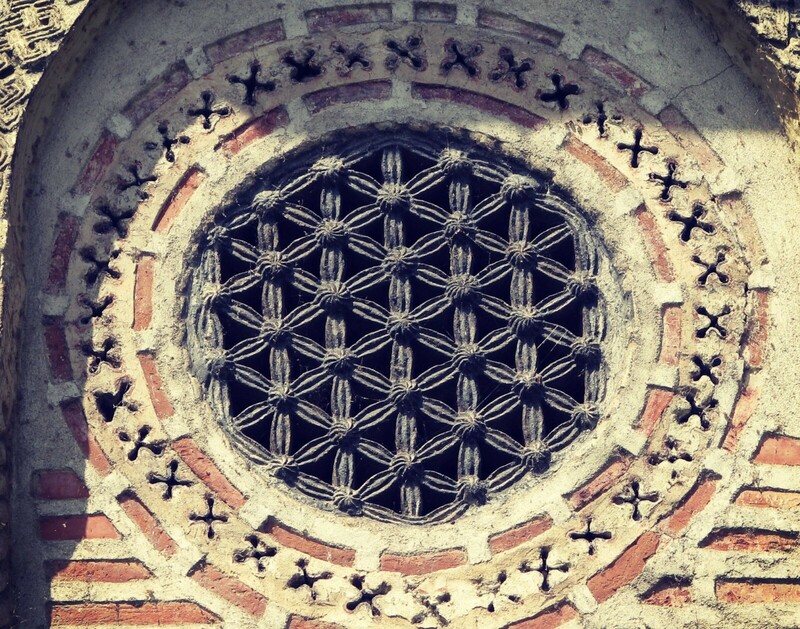 It has been built in early 16th century using the Byzantine style characterized by big blocks of marble. 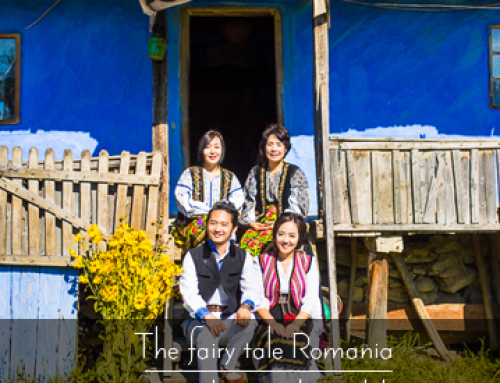 It has a great legend that remained in the Romanian History as a national myth – The Creational Myth. This expresses the idea of a required sacrifice in order to achieve great things. Lunch at one of the medieval restaurants near the Royal Court. After lunch we will have a trip north in order to discover the Fortress of Dracula and the Vidraru Lake. 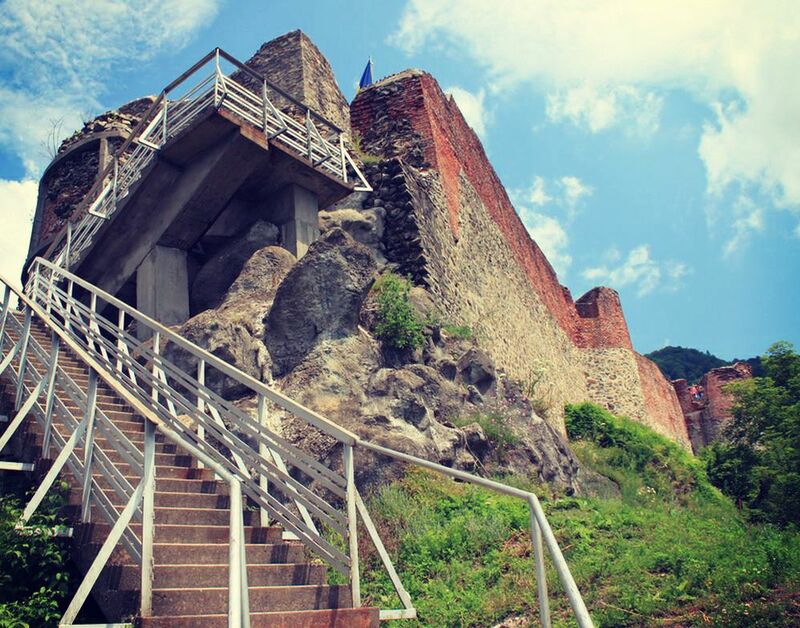 Fortress of Dracula Fortress of Dracula (Vlad Tepes), also called The Poenari Citadel, is located 20 km north from Curtea de Arges, at an altitude of 850 m. It was built in the 14th century and used as refuge during the fight with the Ottoman Empire. It was rebuilt by the ruler Dracula in the 15th century. After the 16th century, it remained a ruin. There is information saying that this fortress was communicating with the river (more than 500 meters below) through a tunnel which nowadays is blocked. The fortress of Dracula (the second Palace of this ruler) can still be visited today. To reach this place, visitors have to climb more than 1480 steps. Vidraru Lake and Vidraru Dam Near the Fortress of Dracula, we can find these beautiful anthropological places, where beautiful landscapes with the Carpathian Mountains can be seen. This place is amazing because the Vidraru Dam is 166 meters in length, and it has been built between two mountain peaks, in a quite tight place. 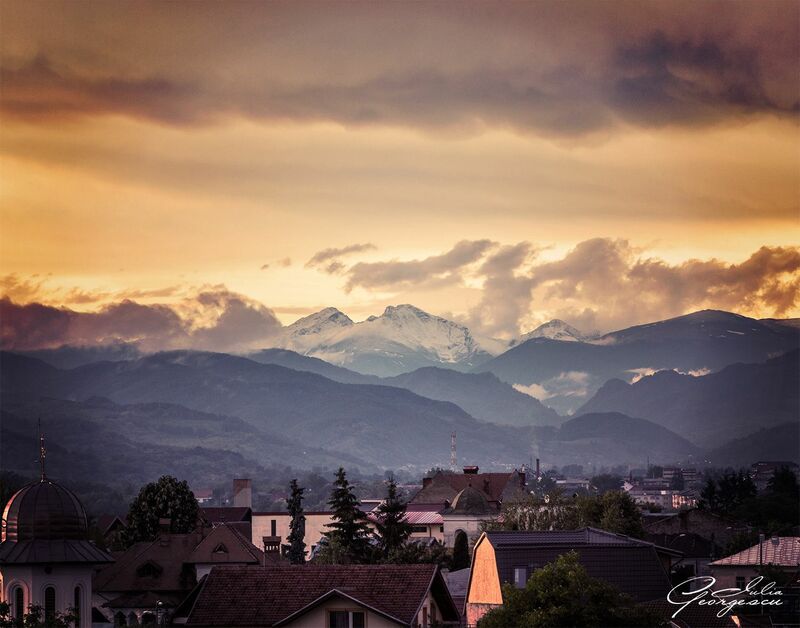 Seen from the dam, the panorama of the Carpathian Peaks (Fagaras Mountains) is beautiful and, depending of the season, always differently coloured. On the way back, 30 km before arriving to Pitesti we will stop at The Vineyard and Tree Growing Museum from Golesti. It was built in 1939 and it houses more than 35 peasant households from ancient periods. It accurately represents the way of life over the past centuries, showing aspects of the social life of both villagers and boyars (wealthy people from ancient periods). Visit to the beautiful town of Curtea de Arges, its famous Monastery, the first Royal Court, visit the Dracula Fortress and the beautiful mountains nearby. This is the last day of your trip. Because the group will have different ours of departure in correlation with the flights we propose a flexible tour in Bucharest. 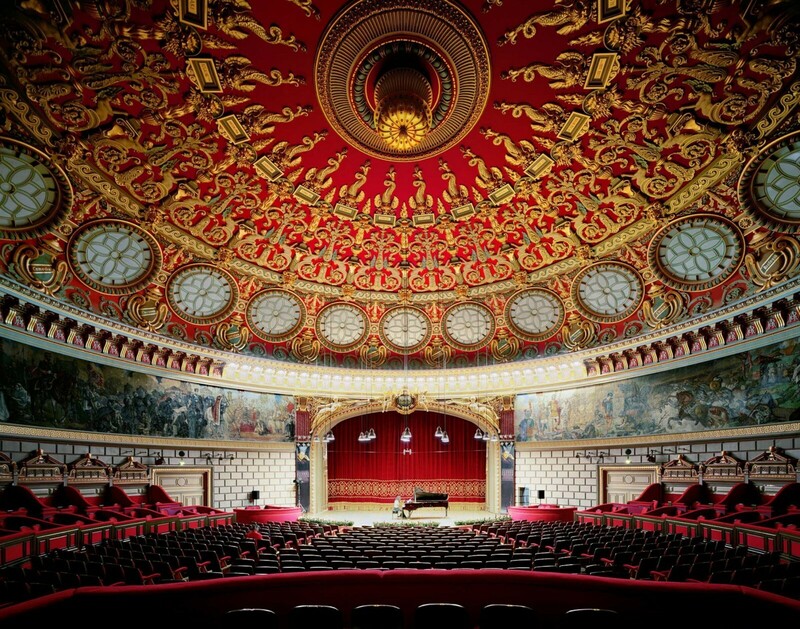 Depending on group preferences we will organize a cultural tour or a shopping session in one of the Bucharest Malls. Bucharest, exploring the city atmosphere. Cultural visits or shopping session depending on group preferences. Above you can find the Pure Romania 4000 years of history - Tour Description. 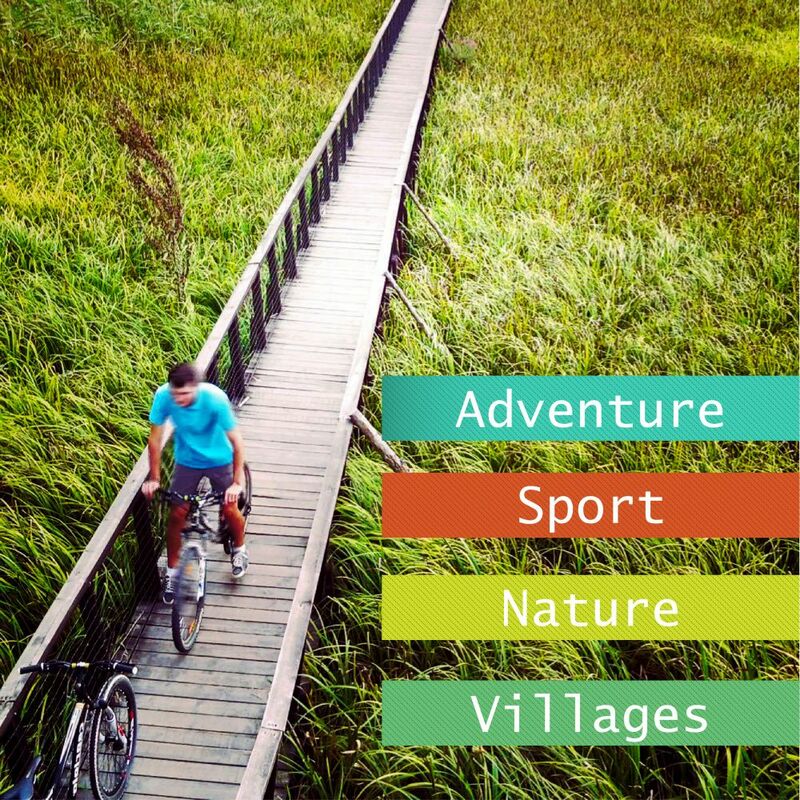 This is a 9 days, premium, all inclusive tour organized by Pure Romania Travel Agency.